A good relationship is built on always being there for your partner when the going gets tough and, more often, when the going gets inconvenient or annoying. The big things count big time but the little things add up too. Life’s minor inconveniences can easily drag us down (car trouble), but when you’ve got someone you trust to lend a helping hand and remind you of the more important things going on around you (happiness, the environment, what’s for dinner). 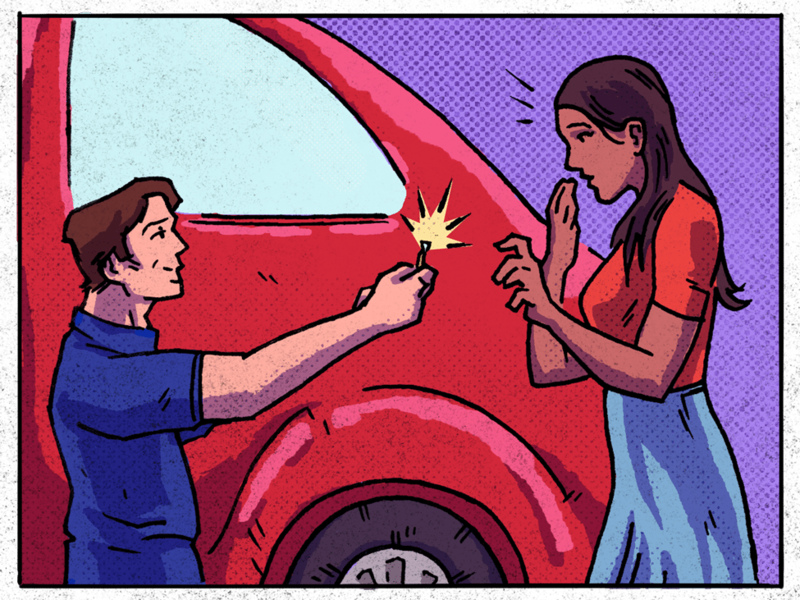 So for this proposal idea, we’re going to play off of one of the most annoying things any human can encounter: a flat tire. A good sense of her schedule. Your driveway, your parking lot, maybe the sidewalk. By now you should pretty much know your significant other’s schedule—like when she head’s to work, to the gym, or to her bi-weekly, Sunday Funday brunch date with her crew. You might not want to try this one before she’s heading to work or somewhere important that can’t be easily canceled. A weekend would be more ideal to pull this one off (just saying). OK, now you know she’s heading out for a little shopping on Saturday morning. 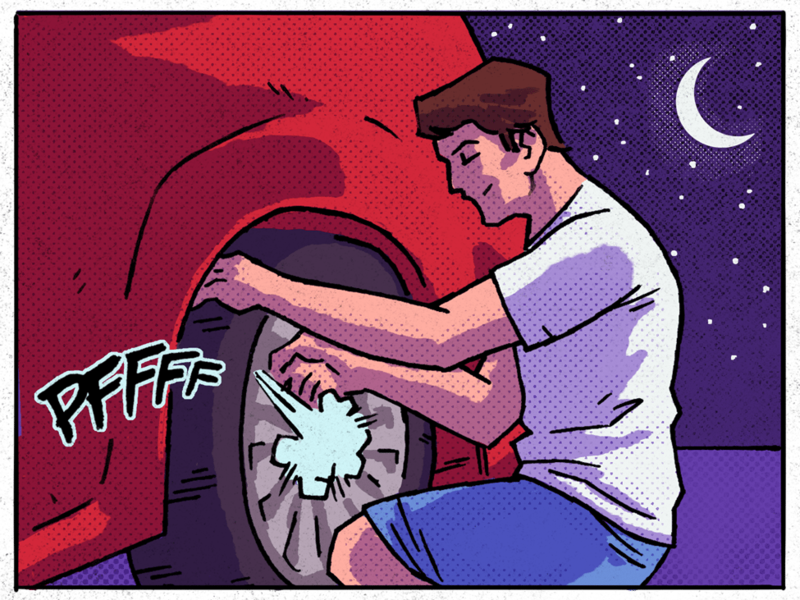 On Friday night, you’re going to sneak out of the house and quietly let the air out of one of her tires. Make sure it’s one that is clearly visible when she walks out to the car in the morning. Feign surprise when she walks back through the door telling you of her automotive woes. Tell her to put that AAA card away and that you’ll take care of the situation. 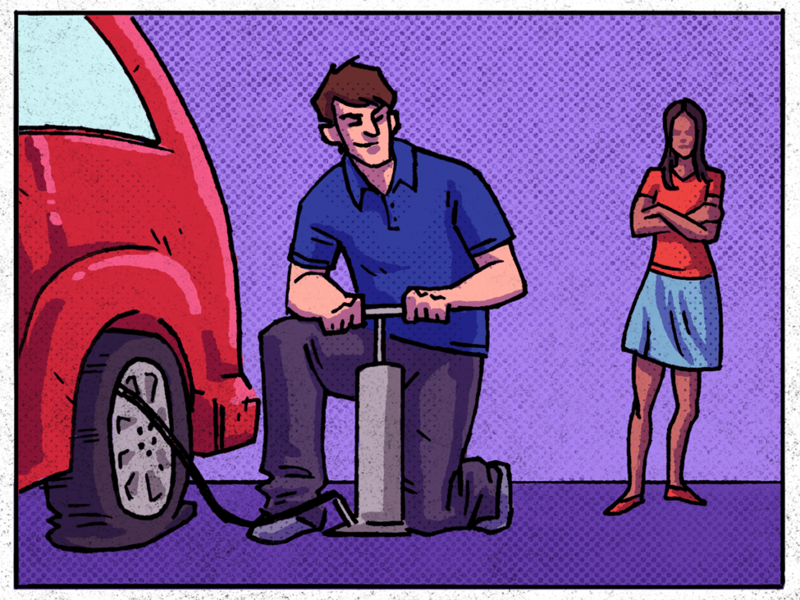 With your trusty air pump, you’ll inflate the tire (that was never actually punctured in the first place). When you’ve hit your proper PSI, call her outside to tell her she’s ready to roll. You’ll probably already be down on one knee next to the tire anyway and that when you can explain, “It was the strangest thing, I didn’t find a nail or a piece of glass in the tire. But I did find…” This is when you’ll produce the engagement ring from your pocket and ask her those four words she’s been waiting to hear. Getting caught deflating someone’s tire. Now that you’re engaged and her ride is up and running, it’s the perfect excuse to hit the carwash and spring for the Executive Package (no coupon this time).